Leafy greens like collard greens, spinach and kale help decrease the risk of eye diseases. They contain lutein and zeaxanthin, which are plant pigments that help prevent cataracts and macular degeneration. Foods high in vitamin C also reduce the risk of macular degeneration and cataracts. Lemons, berries, grapefruits and oranges are good sources of vitamin C.
Vitamin A is also good for eye health. 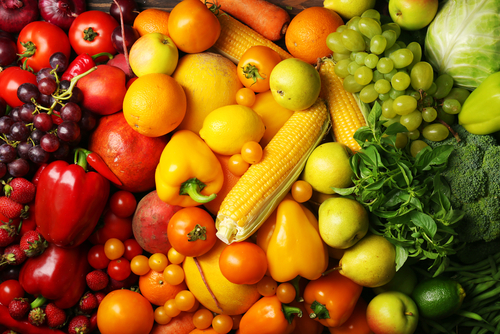 The following colorful fruits and vegetables are excellent sources of vitamins A and C. They contain carotenoids (compounds that give them thier red, orange and yellow pigments) which are thought to help decrease the risk of many eye diseases.